If you’re new to penny stock trading, especially in marijuana penny stocks, there’s one thing you should know… they can be risky if you don’t understand the mechanisms of the industry. Before we get into some details about Medical Marijuana Inc stock (OTCMKTS:MJNA), make sure you know some of the leaders in the space. For example, some of the leaders in the space include: Canopy Growth, Cronos Group, and Aurora Cannabis… once you’re done reading those, it becomes easy to understand why some think MJNA stock is one of the best marijuana penny stocks out there. If trading marijuana penny stocks isn’t your style, then check out these marijuana stocks to buy here. Now, let’s take a look at the details of Medical Marijuana Inc stock. Medical Marijuana Inc stock started trading on OTCMKTS around a decade ago. 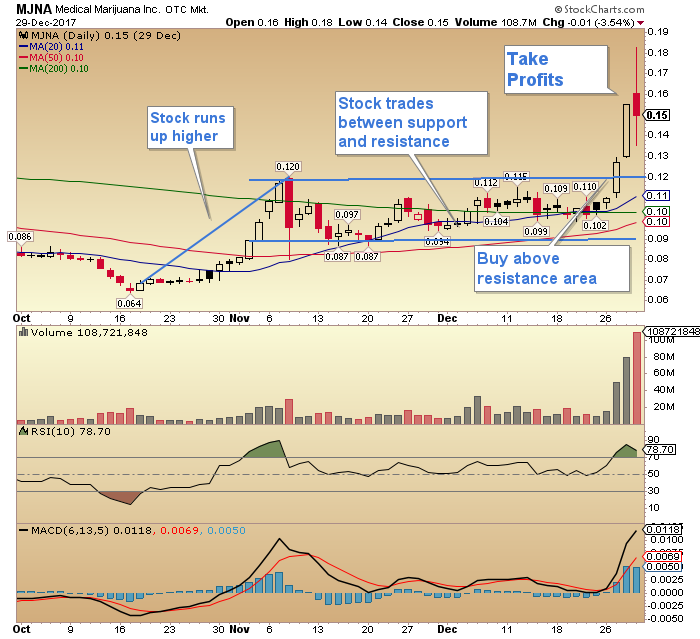 Since its 2009 high of $2.25, MJNA stock is more than 90% off its all-time high (ATH). Now, based on its current price, some investors might see it as a value play. The reason being: Medical Marijuana Inc developed the world’s first legal supply of cannabidiol (CBD). Creating the international CBD pipeline. Cannabis drug and medication development. Support services for the cannabis industry. Developing new markets for medicinal marijuana. This is Medical Marijuana Inc stock’s distribution company, which delivers high-quality CBD hemp oil products to the global market. 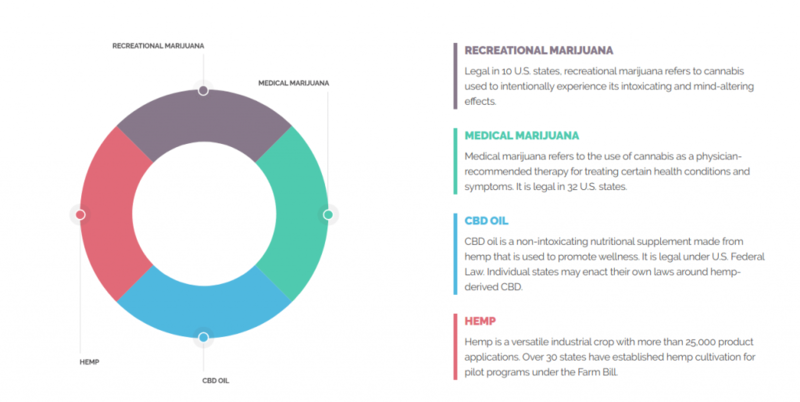 HempMeds started in 2012, and it’s become one of the top CBD hemp oil companies in the world. This company services all 50 states in the U.S. and more than 40 countries. Kannaway has clout in the cannabis industry. That said, Kannaway was the first direct-marketing company to offer cannabis to consumers. Now, Kannaway has evolved into a lifestyle brand and focuses on sustainable and healthy choices with its hemp products. This company offers hemp products to pet, as well as livestock owners. More specifically, Phyto Animal Health offers CBD supplements as an alternative to chemical-based products given to animals. Now that we’ve gone over Medical Marijuana Inc stock’s brands and business, let’s take a look at its target cannabis sub-industries. Now, if you look at the chart above, the cannabis industry can be broken down into four sub-industries, which OTCMKTS: MJNA targets. According to The Arc View Group, the cannabis industry is projected to grow from $9.2B in 2017 to $47.3B in 2027… that’s a compound annual growth rate of 18% over the forecast period. Consequently, Medical Marijuana Inc is well-positioned to take some market share in this industry. Recreational Marijuana: U.S. sales are projected to reach $12.5B by 2025, up from $3.2B. Medical Marijuana: U.S. sales are projected to reach $12.5B by 2025, up from $5.1B in 2017. CBD Oil: Sales are projected to grow from $202M to $2.1B by 2020. Hemp: Product sales are forecast to grow to $1.9B by 2020, up from $820M in 2017. Moving on, let’s take a look at the chart on Medical Marijuana Inc and some recent catalyst events. Now, when penny stock traders are looking for potential buys… they often look to price charts. For example, here’s a look at how you could’ve traded it at one point, based on OTCMKTS:MJNA stock price performance. 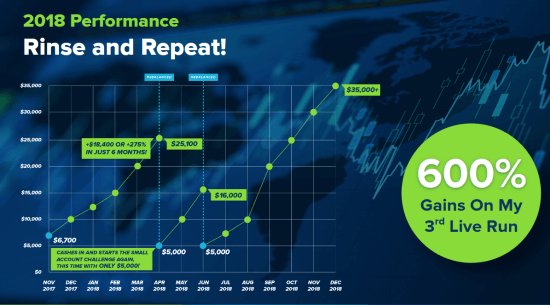 If you want to learn more about Jeff Williams and how he’s able to generate these insane returns by trading penny stocks… then check out the webinar below. How to Get BIG Gains From A Small Account… Fast! It’s not only about understanding out to read charts if you want to trade OTCMKTS:MJNA… it’s also about staying up to date on catalyst events, corporate press releases, and industry news. That said, let’s look at some recent press releases. Now, Medical Marijuana Inc has been making moves in the industry. As a result, some traders are eyeing this penny stock… and some think it’s one of the best marijuana penny stocks. For example, Medical Marijuana Inc’s subsidiaries Kannaway, HempMeds, and Dixie Botanicals recently received Certification Seals from the U.S. Hemp Authority. Consequently, this has some investors viewing this as an undervalued stock. You see, Medical Marijuana Inc received these seals because it satisfied several stringent industry standards for quality and safety. Why is this seal important? Well, the certification educates hemp farmers and producers about the standards to guarantee consistent quality. Since Medical Marijuana Inc received this seal, the company will gain trust from consumers… and potentially build a market share in the $47.3B cannabis industry. Not only that, but OTCMKTS:MJNA also launched a new line of herb accessories online. In turn, the company should be able to generate more revenues for the quarters to come. The company introduced 29 new herb accessories to its e-commerce website, which include vaporizers, pipes, and glasses. Additionally, Medical Marijuana Inc offers storage containers and grinders. Moreover, some of the company’s subsidiaries became the first companies to have CBD products listed in Prescribers’ Digital Reference. As a result of this news, the company could further market its products, which should bring in more revenue. As always, before you consider an investment in penny stocks, make sure you conduct your due diligence and understand the intricacies of trading penny stocks… like how to avoid the Pattern Day Trader rule, and choosing the right broker. Want to learn more about cannabis stocks? Here’s a look at one of the top pot stocks in the industry – Aurora Cannabis (ACB).